Bernie Madoff research papers look at the former stockbroker and financial advisor, convicted of one of the most extensive Ponzi schemes in American history in 2009, that was sentenced to 150 years in prison. 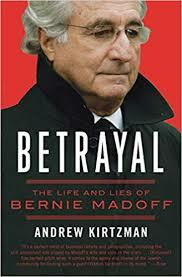 Bernie Madoff (b. 1938) is a former stockbroker and financial advisor, convicted of one of the most extensive Ponzi schemes in American history in 2009, and sentenced to 150 years in prison. Madoff became a poster boy for American corruption and the collapse of the economy in the later years of the George W. Bush Administration. Madoff turned his investment company into a scheme that enriched himself, to the tune of some $18 billion. Madoff was born in Queens, New York, graduating from Hofstra University in 1960. After graduation, he started Barnard L. Madoff Securities LLC with the assistance of his father-in-law. For much of the time, Madoff worked as a legitimate financial advisor. However, as early as 1992, investors began complaining to the SEC about the impossibility of the financial gains that Madoff claimed he could deliver. However, Madoff returned money to the complaining investors, which closed the case. In 1999, similar charges were brought before the SEC but ignored. The scheme began to unravel in late 2008, when Madoff complained to an employee about his inability to pay clients, but was able to pay employee bonuses. Soon after, he confessed to his sons that his entire business was an enormous Ponzi scheme, paying returns with new money collected by the company. In 2009, Madoff pleaded guilty to 11 felony charges, admitting to running the largest Ponzi scheme in history. Business Ethics and Reform - Business Ethics and Reform research paper look at companies such as AIG, Enron and WorldCom for examples of the need for ethical reform in business. Business Ethics and Scandal - Business Ethics and Scandal research papers look at scandals such as the AIG insurance company fallout. Unethical Corporate Practices - Unethical Corporate Practices Research Paper explores the basic theories of ethics, and how corporate culture influences companies behavior. Ethics in Business Research - Many topics are available concerning the ethical concerns of business research and how it can be manipulated. Paper Masters writes custom research papers on Bernie Madoff and look at the former stockbroker and financial advisor, convicted of one of the most extensive Ponzi schemes in American history in 2009, that was sentenced to 150 years in prison.